Do you know what day is today? It’s 3.14, and because it matches the decimals in the most beloved irrational number ever, it’s been called an official celebration of number Pi. Actually last year it was a most special instance, as it was 3.14.15; an event that won’t occur again for another 100 years! 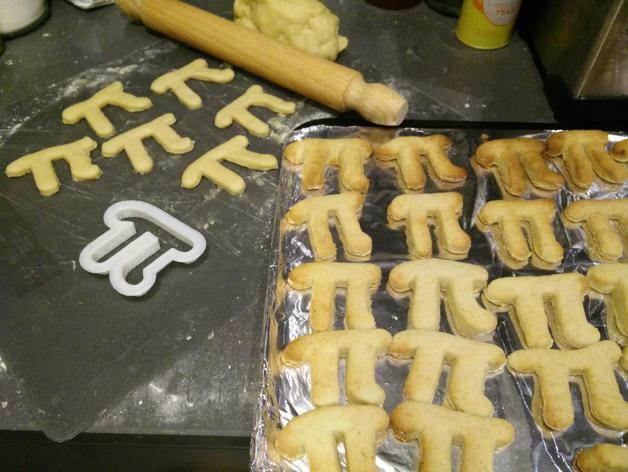 To celebrate, and to give some use to our newly bought 3D printer, we printed some Pi-shaped cookie-cutters we found off Thingiverse, and baked some delicious Pi… cookies. This year still feels special, as it is 3.14.16, the decimals of rounded Pi. If you wanna celebrate, and have a 3D printer yourself, have a look at this neat collection they’ve put together, and print yourself something awesome.